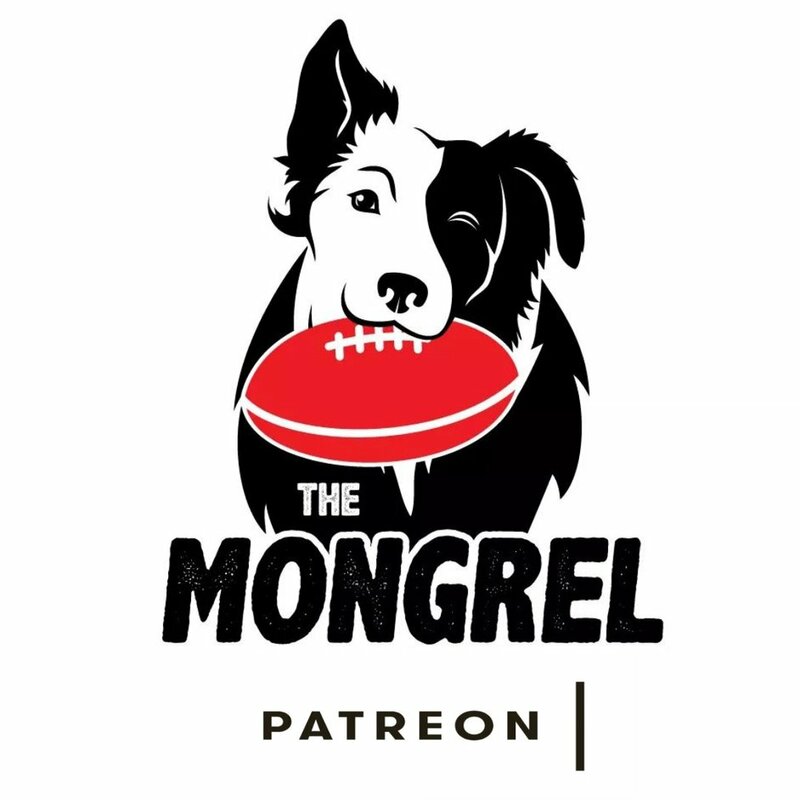 The Mongrel Wrap - Essendon v Melbourne — The Mongrel Punt Become a Patron! With both teams staring down the barrel at a dreaded 0-3 start to the season, Essendon took advantage of a distracted Melbourne line-up to take a surprise 18 point win in an unexpectedly high scoring game at the ‘G on Friday night. As explosive claims about deliberate tanking efforts at the club resurfaced, Melbourne spent a large chunk of the week distracted by these leaked accusations from former coaches and players, before directing their attention to being the face of stamping out online bullying, a well-feted banner made entirely out of negative tweets for the players to run out onto the ground through. By contrast, after two embarrassing losses, the Bombers found some much needed resolve and made some evident tinkering to their game plan that saw the type of ball movement through the middle that had most football experts tipping a finals berth for John Worsfold’s men. We’ll be dissecting how, what, when, where and why, in what is The Mongrel Wrap. It’s difficult to believe that this bloke was not in John Worsfold’s best 22 to start the year. He absolutely torched the Melbourne midfield tonight. The main talking point in that statline that should jump out at you is a game-high 11 score involvements. On a night where there was plenty of wasteful disposal (and we’ll get to Dylan Shiel later), Parish was easily the best and most influential ball user on the ground, his clever tap-on ahead of himself to McDonald-Tipungwuti, who then goaled to restore an Essendon lead early in the third quarter, after Melbourne had charged out to a decent lead in the second quarter, was just smart football. This was even more evident in his capacity to show good match awareness late in the last quarter, being one of the few to hold the ball up, take his time, and slow things down whenever Melbourne came at the Bombers in the last quarter. The extent of the quality of Parish’s game is probably best summed up by a welcome return to form for McDonald-Tipungwuti, who probably was the biggest beneficiary of Parish’s 11 score involvements. Essendon’s small forwards generally lack the capacity to involve themselves in the match without Essendon dominating the midfield, and tonight Parish got them into the game in a big way. Probably the only player that influenced the game over a whole 4 quarters. An incredibly damaging night for Zaharakis, 74% efficiency does not tell all of the tale, as he constantly was the recipient of some sloppy over-possessing from Melbourne inside 50, but set up his teammates constantly – his preparedness to move the ball on quickly off half back got teammates prepared to run hard to space to receive the footy, and showed Melbourne up for work rate throughout the night. At no point during the night did Simon Goodwin ever look like running a tag on him, which was bizarre. The only question I have is whether he has a relevant role in this side? Started the game running around half back by himself mopping up in a Brendon Goddard type role, before being moved to racking up possessions at high half forward in the second half. It seems like there’s been a lot of shuffling the decks in the Essendon midfield to accommodate Dylan Shiel, there’s been bigger fallouts from that that we’ll touch on later, but Zaharakis’ role is one that seems a bit murky in the first few weeks. Baguley up forward in the second half swung the momentum back in Essendon’s favor. He was huge in the third quarter, and he seemed to catch Melbourne off-guard on several occasions. When uou look through the Dees’ 22, you see plenty of match-up options available – Hunt, Hibberd, Kolodjashnij, etc. But Baguley managed to make an impact on the scoreboard time and time again – 5 score involvements from just 10 possessions is a Cyril-like deadliness around goal. I’m not normally a huge fan of Baguley, he can come off as a bit of a plastic tough guy at times, but tonight, his presence rattled a few of the Melbourne backline. Wait, he ended up with 3 goals for the night and still Worst on Ground, you might be inclined to ask? Kicked two cheapies in time-on in the last quarter when the result was already decided, and missed two absolute sitters when the game was up for grabs. If Baguley is a plastic tough guy, I guess that makes Harmes a…. latex tough guy? Curse my lack of knowledge of inferior materials. Harmes butchered the footy all night, and his biggest contribution was pretend-tough-guy bumping an opponent in the back after the ball had gone out of bounds. For all the criticisms of Jordan Lewis for this sort of niggle, when it’s his time to go himself (remember the Ryan Hargrave collision in 2010? ), or sees the opportunity to extract full toll on his opponents, he takes the shot. You don’t see that with Harmes, he doesn’t worry blokes off course when their head is over the ball, nor do you see blokes losing focus to tangle with him as he’s not that much of a concern. I think Melbourne need to seriously consider what this bloke’s role is in the side, and either add a bit more clarity to it, or find someone else getting it done at Casey. If you watched the game live, you’d be well aware that Wayne Carey spent the entire second half paying out on Sam Frost’s efforts, accusing him of being the most influential player on the ground, such was the enormity of some of his blunders throughout the game. Whilst Frost probably had a game he’d rather forget, at least he continued to make a contest throughout and showed a fair bit of courage to continue competing against a rampant Essendon forward line, with next to no help from his teammates. Too often in the second half would you see Frost competing one out with Zac Clarke, only for a second or third Essendon player to emerge in the contest and no other Melbourne player in sight. After McKernan kicked 3 in the first half, it seemed like McDonald went back into his shell and stuck to his individual task and offered very little else to the detriment of the team. Two of McKernan’s goals came from McDonald switching off his man, attempting to provide an option, only for a turnover to occur and McKernan getting an easy contest against an undersized Michael Hibberd. Watch the replay of the second half and see how often you find an Oscar McDonald third man up effort, or any attempt to help out Frost whatsoever? I know which Melbourne defender I’d prefer in the side next week. Do Melbourne run out through a banner made entirely of commentary around Tom McDonald only beating up on bottom 4 teams next week? The materials are certainly there. Michael Hurley comfortably took him to the cleaners last night, with the older McDonald having no influence whatsoever. Is Hogan that big a loss to the side structure (given McDonald really flourished as a forward when Hogan was out last year, I’m not sure that’s the case)? Is he playing a lot higher up the ground, or was he going kick-chasing? Not sure he and Weideman have any chemistry together at this point, despite playing very complementary roles in theory. * - Speaking of Weideman, should he be playing the second ruck role? Having seen a bit of him at Casey, he’s definitely a forward who responds to the Robert Walls trademarked “Give Him A Run In The Ruck” theory, as he doesn’t naturally get himself involved in the play up forward as much as he should. He looked a lot more confident when he gave Gawn a chop-out, and his two goals came from really hard forward work, but Essendon slaughtered him in the clearances when he rucked. Does Frost relief-ruck once May returns? Also, does the Braydon Preuss recruitment make any sense at this point, now that it’s clear him and Max Gawn can’t play in the same side? Great planning aside, if Gawn goes down at some point this year, and that Casey side is looking very formidable as a result. Otherwise, it appears the decision appears far too motivated by the logic that Melbourne couldn’t justify giving games to Cam Pedersen ahead of Sam Weideman. * - Melbourne’s game plan inside 50 was clearly tweaked at quarter time with instant results. No other side were using the footy as much once they got inside 50, with the apparent aim to chip it around until a player became free at the hot spot and giving them an easy set shot on goal. For a side that was the highest scoring in 2018, this seemed unnecessary. Once you saw a much more direct approach from the Dees’ forwards, they really troubled Essendon’s backline. In particular – how good was Christian Petracca’s second quarter? There were about 3-4 passages of play that he made Aaron Francis look very ordinary, out ran him to get goalside, and then set up Harmes and Weideman goals all in the space of 12 minutes. Was as good a small forward display as I’ve seen all year. But then proceeded to do very little all game. It was the biggest impact Melbourne had on the Essendon coaches box, as it forced Hurley to go to Petracca to curb his influence, whilst Francis was off the ground with a leg injury. This was the point you’d hope it resulted in Tom McDonald getting off the leash and joining in. Instead, Petracca went cold, Francis came back on, and Hurley resumed his dominance of T-Mac. * - Very ordinary clash jumpers tonight that only made things worse as far as working out which team was which at the stoppages. Should be a please-explain from AFL House regarding that one. How was this ever ticked off? * - Dylan Shiel’s use of the footy not involving his feet was unlucky not to feature in the votes – don’t think there would have been too many with more metres gained than he racked up tonight, some brilliant handballs from stoppages getting many a Bombers’ midfielder into space. His kicking was probably lucky not to warrant a worst on ground mention. 37.5% accuracy by foot. There was some absolute howlers in there too, bursting out of the centre, having a couple of bounces, and then kicking the ball over a wide-open McDonald-Tipungwuti by about 15m, out on the full was the worst of the lot. He adds a fair bit to this Essendon midfield, certainly makes them look quicker and more explosive around the stoppages, but I wonder if this is a net positive result? As I mentioned earlier, Zaharakis looks content to claim the Brendon Goddard role of wandering around without an opponent and racking up stats, whilst Zach Merrett looks lost. He had 26 possessions last night, but very few of any impact, or note. It’s going to be a challenge to see how Heppell, Zaharakis, Merrett and Shiel can all play in the one midfield, even more so if Parish has games like he did last night. * - Do every side make a point of playing two ruckmen against Max Gawn now? Didn’t think much of Zac Clarke’s game – he’s the sort of player that you marvel at being able to do certain things for a player of his size, “How did he get to that contest?”, “Gee, he’s deceptively quick”, and then you realize it’s far more preferential that he’s not doing those things, and you’d want literally anyone else with their hands on the footy. Nonetheless, there was a clear directive to try and tire Gawn out as much as possible. Bellchambers had 94% time on ground, Clarke had 89%. Gawn by comparison had 84%. If you measure Clarke’s impact by how much he allowed Bellchambers to be competitive against a tiring Gawn for four quarters, it was a good result, and a brave call from the Essendon match committee. Do the Swans rush Sam Naismith back next week? * - Do Essendon need a genuine stopper/tagger in their midfield? Was watching their set-ups at the centre bounces closely and wondering what their plan B was should Clayton Oliver start dominating. I admire their capacity to back themselves in and win the majority of the clearances, but eventually, it’s going to bite them. * - On a poor night for the Dees, I thought they unearthed a player in Jay Lockhart. Looked very dangerous around goals, and was certainly prepared to put his head over the footy. A definite upgrade on Jeff Garlett at this point. * - Just how much do the Dees miss Jordan Lewis at the moment? Yes, teams were able to exploit him one out at times late in the year, but that backline is desperately missing his organization and leadership. The ease in which Essendon were able to score once inside 50 was embarrassing at times, and it looked as though some had never played in a zone set-up before, or as I mentioned earlier, self-preservation kicking in, and a real reluctance to support a teammate in a contest. * - Andrew McGrath’s last quarter was all class. Poise with the ball in hand, composed on the last line of defence, and stood up when the Dees had a real go late in the game. His sealing goal was fantastic too. But where was he for the other 3 quarters? * - Where do we rate Angus Brayshaw’s game? I see some media outlets gave him best on ground, I’m not as convinced. Melbourne’s best 4 quarter player by far, but felt a lot of his influence came late in the game when it didn’t matter as much, and just didn’t hurt Essendon around the ground anywhere near as much as Parish or Zaharakis did in return. * - And of course, the umpiring. We’ll throw that over to you to vent, as there’s not a lot else that hasn’t already been said. Over-umpired, and if anything, made the scoreboard look a lot more bloated than it was. Lot of goals from free kicks. Lot of decisions made based on assumptions on what the player is about to do, rather than what they are doing. Distracted from a very good game, but at least they were consistent for four quarters in doing so, and surely that’s all we can ask? Newer PostTime For Brad Scott To Deliver - Or Else!